I love recipes that are customizable to my family’s needs. Ya know, we have meat eaters, vegetarians, people who hate red sauce, people who will only eat red sauce. It can get quite complicated in these parts. So when I come across a recipe that I can customize for everyone, I definitely want to try it. This one is super simple and great for quick dinner nights! 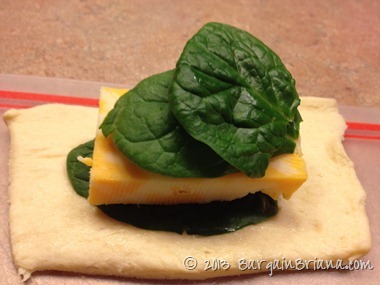 We made three different varieties: Spinach, Pepperoni, and just cheese. All are gone and were a huge hit in our household! No crying over tonight’s dinner – score! Plus, these were ready in under 30 minutes. 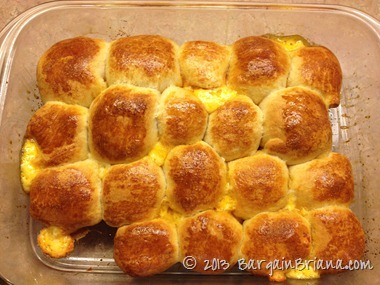 Those handy dandy Pillsbury Crescent sheets are great for this recipe. 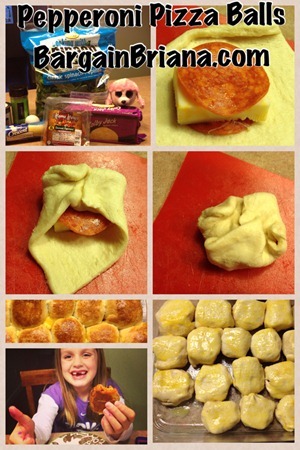 You can also use canned biscuits. It’s really simple. I cut the crescent sheets into smaller squares and flattened it down. 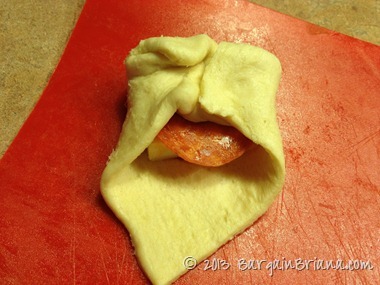 Layer the pepperoni, cheese, then pepperoni again. Fold until it’s in a ball’ish” shape. So simple a six year old can do it. Actually, she was a little better at wrapping and folding them than me. Place in a greased pan. Brush with egg, oil, or butter. Whichever you prefer. We used egg. At this time you would top with garlic powder and Italian seasoning. I skipped this on the pepperoni balls for fear that the kids would freak out over the green specks. 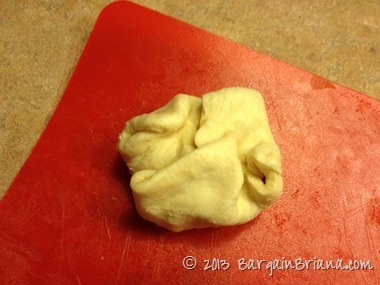 Bake at 425 degrees for around 20 minutes or until dough is cooked. 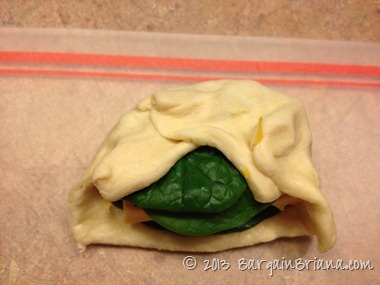 Fold until covered. These spinach stems were a little pokey so I had to twist the stems off so they weren’t poking out! Brush with egg, butter, or oil. 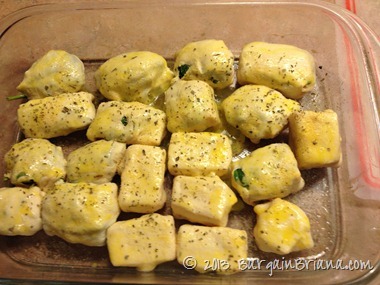 Sprinkle with garlic powder and Italian seasoning. Bake at 425 degrees for around 20 minutes. Done! Happy Kids! She insisted I take this picture and post on the blog so my Bargain Briana people would know how much she liked this recipe. Her idea. She’s funny. She was taking pictures of her own as we were cooking and said to wait a minute she had to go blog. Haha! 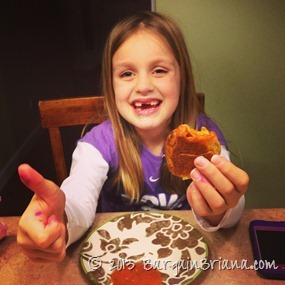 Oh, and you can use pizza sauce for dipping! Delish! 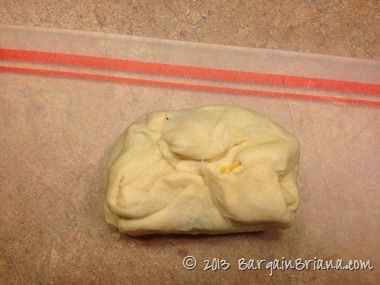 Cut the crescent sheets into smaller squares and flattened it down. Fold into a ball shape. Place in a greased pan. Brush with egg, oil, or butter. 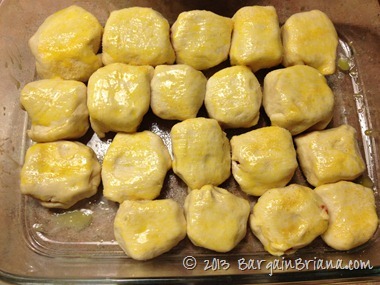 Bake at 425 degrees for 20 minutes or until dough is cooked. 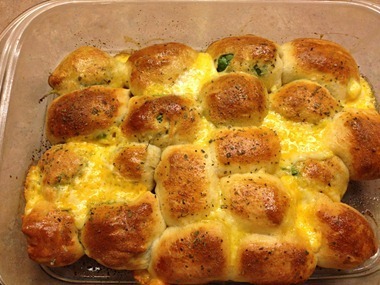 One of our favorite recipes!! 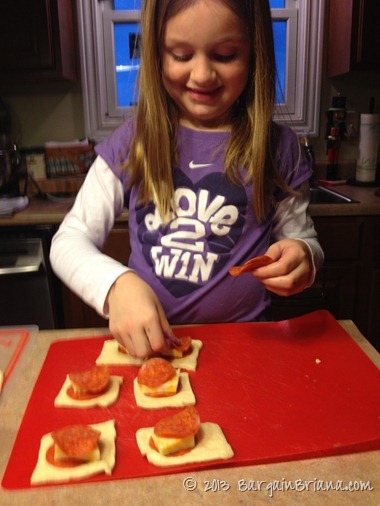 We’ve used a variety of pizza toppings and they always come out great! Love it! 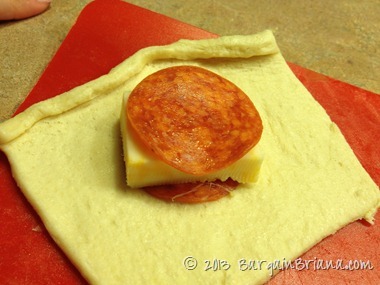 Can’t wait to pick up some pepperoni to try this out, my son would get a kick out of helping! I had opened a can of biscuits for dinner and knew I would only eat 2 of the 5 (I buy the small cans for just me). I had already made a modified mini calzone and a small pizza with the leftover biscuits. Easy. What I had on hand. Better than store bought that are always “off” to me. I doused the inside with spices though. Came out great. I like this recipe with the “balls” better though.